Original: “Hana,” originally published in Shinshichō, February 1916 (Click here for Aozora Bunko version). Translation: Translated by Jay Rubin; included in his Rashomon and Seventeen Other Stories (Penguin Classics, 2006). To purchase Rubin’s translation of the story, click here. 1. Discuss the significance of the main character’s name: Zenchi Naigū 禅智内供. How does this name contribute to the ironic tone of the work? 2. Describe Zenchi’s nose. How do people treat him? What is his attitude toward his nose, both in public and in private? 3. Why do you think Akutagawa made his protagonist a Buddhist priest? How does this add to the irony to the story? 4. Identify the point of view. How would you describe the narrator’s style? Are there differences in style between the original and translation? Explain. 6. Akutagawa is often regarded as the representative writer of the Taishō era. Name four other prominent Japanese writers who were active during this period. Compare and contrast. 7. Compare the translation with the original. Can you find any mistakes, omissions, or changes? Does the translation lean more toward literal translation (chokuyaku) or approximate translation (iyaku)? Explain. 8. What famous writer praised this work? What particularly aspects of the work do you think he admired? 9. List four other stories by Akutagawa. How do they differ from this story? How are they similar? 10. 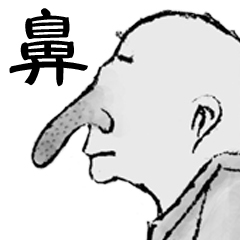 Describe the nose-shortening procedure that Zenchi undergoes. Is it successful? 11. How do people treat Zenchi after the procedure? Is his initial problem resolved through the procedure? Explain. 12. Discuss the final scene. How/why does this happen? Is there a rational explanation for it, or is it some kind of miracle or divine intervention? Explain Zenchi’s reaction. 13. Is there a moral lesson to this story? If so, explain it. Can the work be read as an allegory? 1. Allegory: an extended metaphor; comprised of structural (rather than textual) symbolism. In an allegory the characters/action/scenery corresponds more or less directly to certain spiritual/political/psychological struggles. For example, in Sōseki’s “Ten Nights of Dreams” (Yume Jūya; 1908), each of the ten dreams are an allegory of modern concerns. According to Seats, this is the first Japanese modern “allegorical text.” Other examples: Gulliver’s Travels, Alice in Wonderland, Kafka’s The Castle, Orwell’s 1984. By 1690, Japan is a nation completely isolated from the western world, and a time of cultural flowering and intellectual pursuit ensues. Shogun Tsunayoshi introduces his Laws of Compassion protecting the poor and preventing the abuse of animals. By the 18th century, Edo has become the largest and one of the liveliest cities in the world, attracting samurai, geisha, courtesans, merchants, writers and actors. The classes begin to mix, and culture and commerce flourish. However, conflicts simmer beneath the surface of Edo society. As ruling daimyo warlords and their samurai armies grow restless, interest in Western science increases, complicating the policy of isolation. In 1853, Commodore Mathew C. Perry and his squadron of black ships sail into Edo Bay, and demand that Japan negotiate and trade with the United States. Japan is in a precarious position and the government faces the difficult choice of war or negotiation. Realizing they are powerless to repel American might, the Japanese negotiate treaties with the West. Ten years later, the samurai class is disbanded and the Tokugawa Shogunate ends. The modern era of Japan has begun. In the early 16th century, Japan is a warlike society ruled by samurai and their daimyo warlords. When Portuguese merchants arrive in 1543, they are the first Europeans to set foot in Japan. Missionaries quickly set out to convert the nation to Christianity. In the same year, a samurai boy named Tokugawa Ieyasu is born to a low ranking daimyo family. To prove his family's loyalty to their ruling warlord, Ieyasu is given as a hostage where he remains for most of his childhood. When he is finally freed, he reclaims his family's domain and allies himself with the most powerful rulers in Japan: Oda Nobunaga, and his successor, Toyotomi Hideyoshi. Hideyoshi awards him a small fishing village named Edo, later to be known as Tokyo, and provides him with a vast area to rule. But Hideyoshi and Ieyasu are uneasy allies. On his deathbed, Hideyoshi, places Ieyasu in command until Hideyoshi's true heir—his young son, Hideyori—will rule. When daimyo rebels challenge Ieyasu's control, Tokugawa Ieyasu's samurai armies defeat them at the Battle of Sekigahara. The victory brings to Ieyasu the title of shogun. Ieyasu's only remaining obstacle for total control of Japan is Hideyori. In 1614, Ieyasu renounces his allegiance to Hideyori and attacks Osaka Castle, slaughtering more than 100,000. It is the beginning of a dynasty that will endure for more than 250 years. With Ieyasu in control, peace settles over Japan, and a new society based on the samurai ethics of obedience and loyalty is established. In 1600, William Adams becomes the first Englishman to set foot in Japan. Impressed by European trading vessels, Ieyasu asks Adams to help him build his own fleet. Aware that the English have no interest in converting the Japanese to Christianity, Ieyasu decides to expel the Portugese and Spanish who often combine missionary work with trade. As Shogun, Tokugawa Ieyasu has united the daimyo warlords. When he dies at 72, his vision of a strictly controlled class system based on the rule of the samurai is a reality. But his grandson, Iemitsu, will rule more harshly. With no wars to fight, Iemitsu tightens control over the power of the daimyo and their restless samurai armies. Foreign missionaries have been expelled from Japan, but still Iemitsu fears the influence of Christianity. Impoverished peasants and persecuted Christians explode in anger. 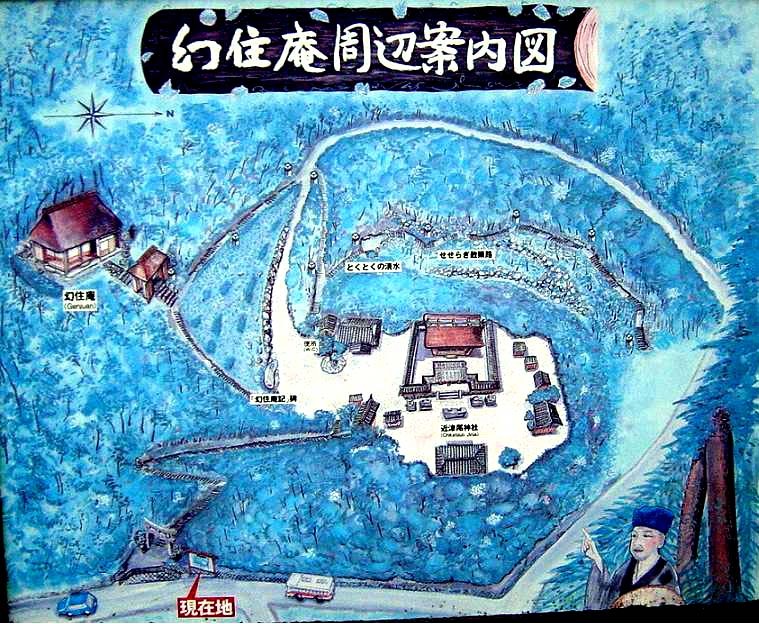 The Shimabara Rebellion in 1637 results in the deaths of thousands. In order to prevent further dissention resulting from foreign influence, Iemitsu closes Japan to the western world. It will be more than 200 years before the nation will open its doors again. 1. The Shinto shrine near the narrator’s hut incorporates Buddhist elements as well. Describe this fusion. Explain its significance in the context of the essay. 2. Describe the narrator (e.g. his age, occupation, background, current activities/interests/residence, possessions, philosophy of life, etc.). Why has he gone into reclusion? Is he simply a lover of solitude? Explain. 3. How long has the narrator been living in this remote hut? 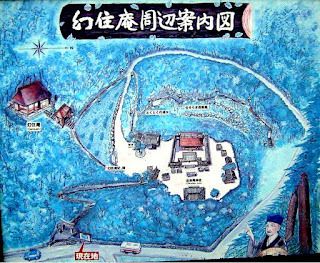 Why do you think has he chosen this particular area—“beyond Ishiyama,” on the southern shore of Lake Biwa, east of Kyoto? 4. The narrator states that he moved to this hut in the “fourth month, the first month of summer.” To what month of the Western (i.e. Gregorian) calendar does the fourth month of the lunar calendar (kyūreki) correspond? 5. What season is it now? How long has the narrator been living in this hut? 6. Make a list of all the natural elements (both plant and animal) that appear in the text. Explain their significance. 7. 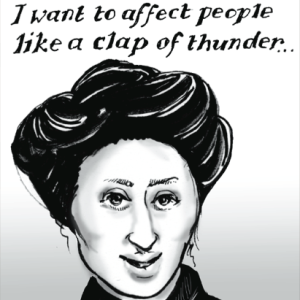 Make a list of all cultural and literary allusions—both implicit and explicit—that appear in the text. (Note: there are many!) Explain their function/significance. 8. Discuss the name he gives to the hut. Is this name a metaphor for something? 9. Who (if anyone) visits the narrator while he is living in this remote hut? Explain these interactions. 10. Judging from the narrator’s account, how do you think he has changed over the years? Explain. 12. To what genre of writing does this work belong? What similar works from the past can you think of? How does this work relate to those? Explain. Beyond Ishiyama, with its back to Mount Iwama, is a hill called Kokubuyama—the name I think derives from a kokubunji or government temple of long ago. If you cross the narrow stream that runs at the foot and climb the slope for three turnings of the road, some two hundred paces each, you come to a shrine of the god Hachiman. The object of worship is a statue of the Buddha Amida. This is the sort of thing that is greatly abhorred by the Yuiitsu school, though I regard it as admirable that, as the Ryobu assert, the Buddhas should dim their light and mingle with the dust in order to benefit the world. Ordinarily, few worshippers visit the shrine and it's very solemn and still. Beside it is an abandoned hut with a rush door. Brambles and bamboo grass overgrow the eaves, the roof leaks, the plaster has fallen from the walls, and foxes and badgers make their den there. It is called the Genjūan or Hut of the Phantom Dwelling. The owner was a monk, an uncle of the warrior Suganuma Kyokusui. It has been eight years since he lived there—nothing remains of him now but his name, Elder of the Phantom Dwelling. I too gave up city life some ten years ago, and now I'm approaching fifty. I'm like a bagworm that's lost its bag, a snail without its shell. I've tanned my face in the hot sun of Kisakata in Ou, and bruised my heels on the rough beaches of the northern sea, where tall dunes make walking so hard. And now this year here I am drifting by the waves of Lake Biwa. The grebe attaches its floating nest to a single strand of reed, counting on the reed to keep it from washing away in the current. With a similar thought, I mended the thatch on the eaves of the hut, patched up the gaps in the fence, and at the beginning of the fourth month, the first month of summer, moved in for what I thought would be no more than a brief stay. Now, though, I'm beginning to wonder if I'll ever want to leave. Spring is over, but I can tell it hasn't been gone for long. Azaleas continue in bloom, wild wisteria hangs from the pine trees, and a cuckoo now and then passes by. I even have greetings from the jays, and woodpeckers that peck at things, though I don't really mind—in fact, I rather enjoy them. 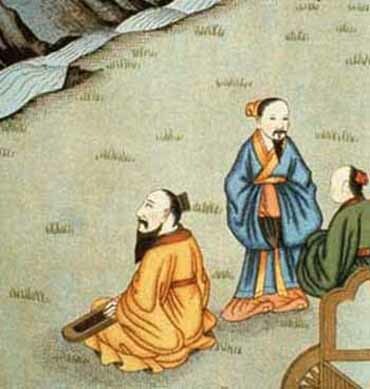 I feel as though my spirit had raced off to China to view the scenery in Wu or Ch’u, or as though I were standing beside the lovely Xiao and Xiang rivers or Lake Dongting. The mountain rises behind me to the southwest and the nearest houses are a good distance away. Fragrant southern breezes blow down from the mountain tops, and north winds, dampened by the lake, are cool. I have Mount Hie and the tall peak of Hira, and this side of them the pines of Karasaki veiled in mist, as well as a castle, a bridge, and boats fishing on the lake. I hear the voice of the woodsman making his way to Mount Kasatori, and the songs of the seedling planters in the little rice paddies at the foot of the hill. Fireflies weave through the air in the dusk of evening, clapper rails tap out their notes—there's surely no lack of beautiful scenes. Among them is Mikamiyama, which is shaped rather like Mount Fuji and reminds me of my old house in Musashino, while Mount Tanakami sets me to counting all the poets of ancient times who are associated with it. Other mountains include Bamboo Grass Crest, Thousand Yard Summit, and Skirt Waist. There's Black Ford village, where the foliage is so dense and dark, and the men who tend their fish weirs, looking exactly as they're described in the Man'yōshū. In order to get a better view all around, I've climbed up on the height behind my hut, rigged a platform among the pines, and furnished it with a round straw mat. I call it the Monkey's Perch. I'm not in a class with those Chinese eccentrics Xu Quan, who made himself a nest up in a cherry-apple tree where he could do his drinking, or Old Man Wang, who built his retreat on Secretary Peak. I'm just a mountain dweller, sleepy by nature, who has turned his footsteps to the steep slopes and sits here in the empty hills catching lice and smashing them. Sometimes, when I'm in an energetic mood, I draw clear water from the valley and cook myself a meal. I have only the drip drip of the spring to relieve my loneliness, but with my one little stove, things are anything but cluttered. The man who lived here before was truly lofty in mind and did not bother with any elaborate construction. Outside of the one room where the Buddha image is kept, there is only a little place designed to store bedding. An eminent monk of Mount Kora in Tsukushi, the son of a certain Kai of the Kamo Shrine, recently journeyed to Kyoto, and I got someone to ask him if he would write a plaque for me. He readily agreed, dipped his brush, and wrote the three characters Gen-ju-an. He sent me the plaque, and I keep it as a memorial of my grass hut. Mountain home, traveler's rest—call it what you will, it's hardly the kind of place where you need any great store of belongings. A cypress bark hat from Kiso, a sedge rain cape from Koshi—that's all that hang on the post above my pillow. In the daytime, I'm once in a while diverted by people who stop to visit. The old man who takes care of the shrine or the men from the village come and tell me about the wild boar who's been eating the rice plants, the rabbits that are getting at the bean patches, tales of farm matters that are all quite new to me. And when the sun has begun to sink behind the rim of the hills, I sit quietly in the evening waiting for the moon so I may have my shadow for company, or light a lamp and discuss right and wrong with my silhouette. But when all has been said, I'm not really the kind who is so completely enamored of solitude that he must hide every trace of himself away in the mountains and wilds. It's just that, troubled by frequent illness and weary of dealing with people, I've come to dislike society. Again and again I think of the mistakes I've made in my clumsiness over the course of the years. There was a time when I envied those who had government offices or impressive domains, and on another occasion I considered entering the precincts of the Buddha and the teaching rooms of the patriarchs. Instead, I've worn out my body in journeys that are as aimless as the winds and clouds, and expended my feelings on flowers and birds. But somehow I've been able to make a living this way, and so in the end, unskilled and talentless as I am, I give myself wholly to this one concern, poetry. Bo Juyi worked so hard at it that he almost ruined his five vital organs, and Du Fu grew lean and emaciated because of it. As far as intelligence or the quality of our writings go, I can never compare to such men. And yet we all in the end live, do we not, in a phantom dwelling? But enough of that—I'm off to bed.